Main Active Topics Active Polls Search FAQ Forgot PW? Members of the Keepsake Ornament Collector's Club were treated to a special preview of the 2003 Dream Book. Included were details on five upcoming Star Wars ornaments. Battery-operated sound: Hear the TIE Fighter racing by, followed by battle sounds and an explosion. The 2003 Collection is scheduled for an October release. Let us know what you think of the new ornaments! Tree or no Tree, I gotta have that Yoda!!!!! These all look great, this is one SW line I never have to worry about. I sooo agree i HAVE to have that Yoda, he is soo CUTE!!!! These look pretty good to me. Are we getting 2 diff. clone troopers together? Or are they sold seprate? Seems like a good bargin if we get 2 for $10. The Clone Troopers will be smaller than the normal ornaments, but are sold as a 2-Pack. I'd like to see a mini ornament set like the max rebo band and the jedi council set, Ireally like these though.Ecspecially the yoda. Nice. But is Yodas saber to long? That Yoda is really cool. The Padme is also a really great likeness. Yup it looks too long, this yoda looks much better then the 1st. Padma looks good to, too bad they don't include a battle driod with the clone troopers. Just wish they weren't so high priced, last year I spent 125.00 and did not even get the Slave 1. The Padme is also a really great likeness. It is a pretty good likness to her. Yea, the sabre is a little too long for him. But ill get them all anyways. 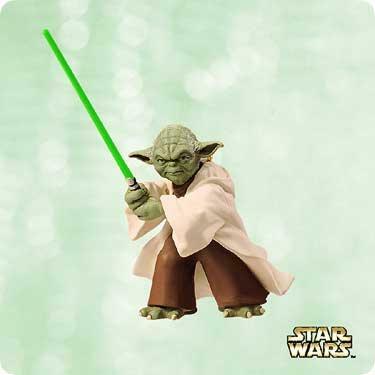 The Yoda is awesome.That would look awesome on any tree. todays crazy response to spam is:if your records indicate that i can recieve your credit card with a 95% intrest rate,why do you need my age? LOL, queen, you are funny. I agree on Padme's likeness, she does look good, too bad Hasbro doesn't take some pointers. Have you all seen the Droid Factory Padme? Her face sculpt makes her look like she has down syndrome. If Hasbro could charge $14.95 per fig, the likeness would probably be better. wish they weren't so expensive. Got them all last year and set me back $125. 3P0 looks good. Clone troopers look great. How big are they supposed to be? Disappointed in Padme. Just doesn't look like her. 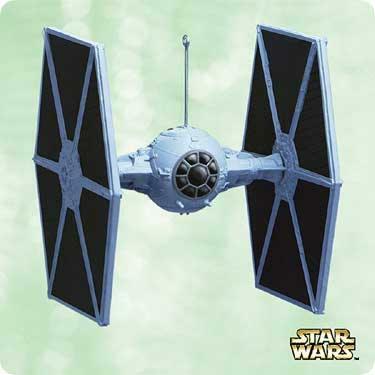 Tie Fighter....didn't they release one of them a few years ago? Only one ship?! Gotta have that Yoda. Looks great! There was a miniture 3-pack that included an AT-AT, X-Wing and TIE Fighter. They also released Darth Vader's TIE Fighter. This page was generated in 1.69 seconds. 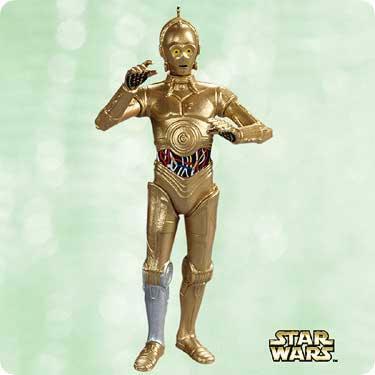 POTF2.COM, POTJ.COM, Auction Probe, Toy Probe and related marks are trademarks of POTF2.COM. Star Wars and the Star Wars logo are registered trademark and/or copyright Lucasfilm, Ltd.